Great news for Tesla fans worldwide. 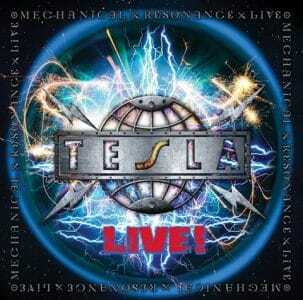 To commemorate the 30th year anniversary of the release of their debut album Mechanical Resonance, Tesla will be releasing a new album entitled Mechanical Resonance LIVE! via Frontiers Music Srl on August 26, 2016. “…It’s been said that lightning never strikes the same place twice. However, it does in the case of Tesla the Band. The band is thrilled to announce the release of a live recording of their classic album, “Mechanical Resonance LIVE!”, celebrating the original multi-Platinum record’s 30th birthday in style. With a few surprises up their sleeve, including the single “Save That Goodness,” a brand new song written and produced by Phil Collen of Def Leppard, the album will be released in Europe on August 26th on Tesla’s longtime label partner Frontiers Music Srl. The record is being released in conjunction with Tesla’s US summer tour opening up for Def Leppard, where they will perform in front of over half a million fans. Please see full tour routing at http://teslatheband.com/. Over the course of their thirty-year career, which started in 1986, the iconic Sacramento melodic hard rock quintet—Frank Hannon [guitar], Brian Wheat [bass], Jeff Keith [lead vocals], Troy Luccketta [drums], and Dave Rude [guitar]—has sold more than 25 million albums worldwide and played to sold out crowds across the globe, their three albums that followed “Mechanical Resonance” all went multi-Platinum in the US. 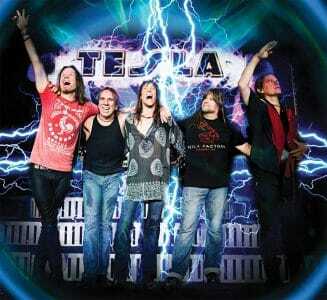 To say Tesla live is absolutely bombastic is an understatement, they are a hard rock band to beat all hard rock bands. Sleaze Roxx attended the M3 Rock Festival back in 2014 when Tesla were headlining and stated the following in its concert review: “The final band to play was headliner Tesla — another band that I had not seen play in more than a quarter century! To illustrate how long that it had been, I think the last time I saw them was when they opened for Def Leppard on the ‘Hysteria’ tour back in 1988! Although it had been a long, but very fun day, as soon as Tesla started playing their opening track “I Wanna Live”, I felt a surge of energy as I ended up singing along with Jeff Keith for the next 75 minutes. It had been a long time since I heard some of the tracks Tesla performed, but it didn’t matter as it seemed that I knew all of the lyrics — except of course for the new track “MP3”, from their forthcoming album ‘Simplicity’, which is scheduled to be released in June.